The difference is in the combination! The SIMATIC S7-1200 controller is extremely flexible, scalable and seamlessly integrated in Totally Integrated Automation (TIA). 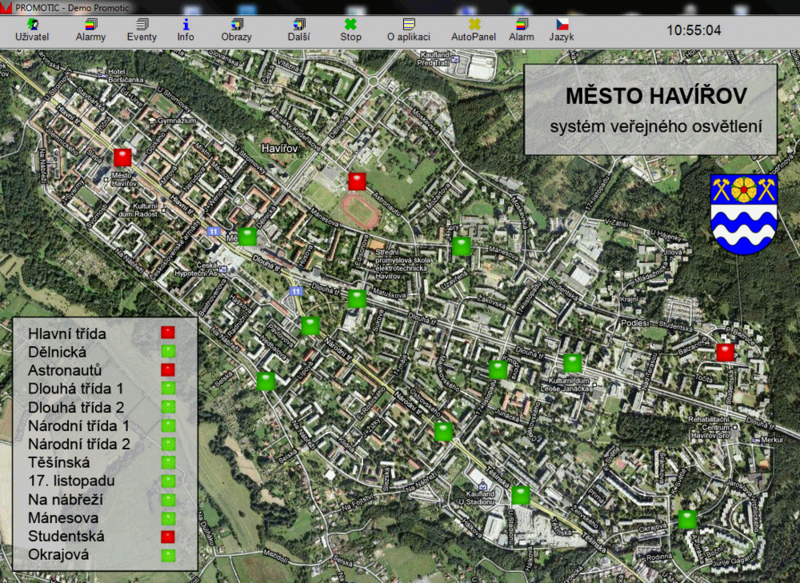 It works together perfectly with HMI, I/Os, drives, and software. 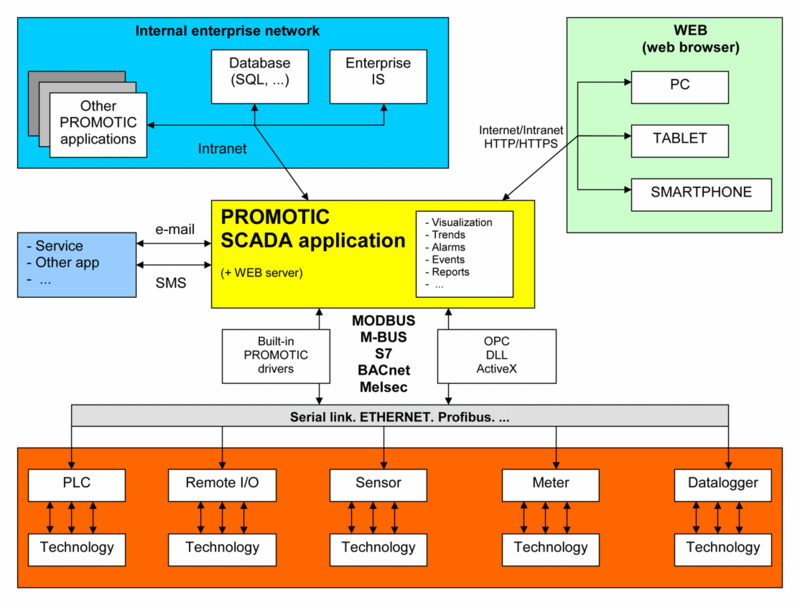 The PROMOTIC system is a software tool used for visualization and control of technological processes in a wide spectrum of industrial branches. 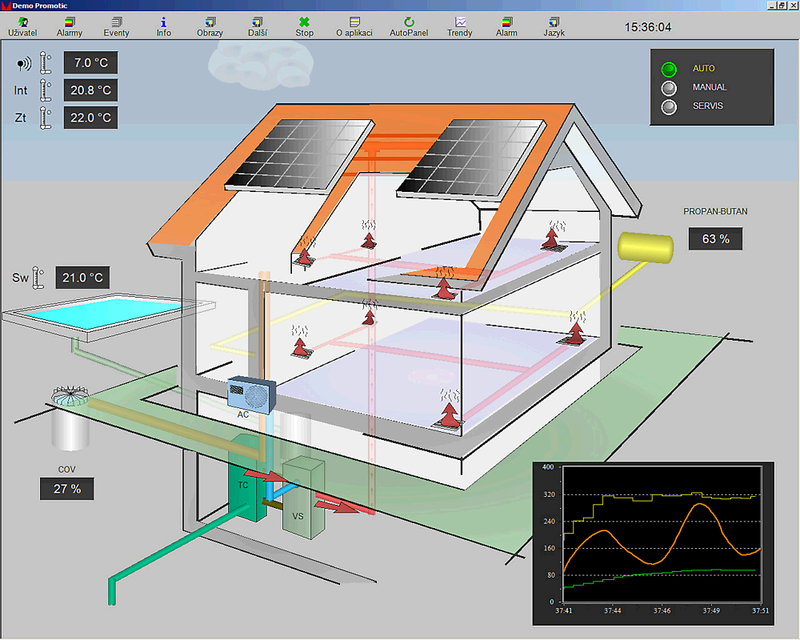 This type of software is also commonly used for management and control of technologies in "intelligent houses" and buildings. 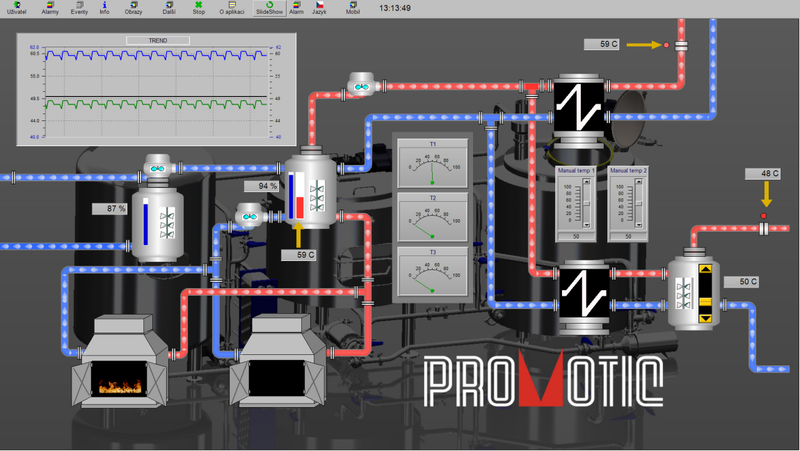 The PROMOTIC system is a popular and affordable software tool that is being developed and distributed since 1991. Question: Can we replace a PLC with an Arduino in industrial applications? Both got Digital/Analog IOs, user program and a scanning cycle. Clarify your answer. Answer: No, But before we discuss the reason of Arduino's invalidity for the industrial automation applications, there are some essential information should be known about the Arduino platform, that the Arduino is kinda categorized as a DIY or HobbyKit open source environment for creating interactive electronic objects, small scale projects, lab applications and simple home automation applications. 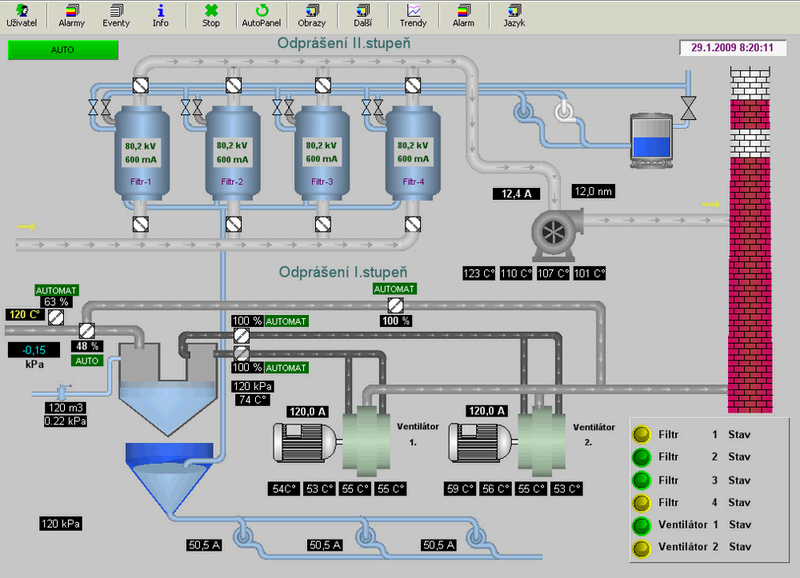 1- Limited I/Os, while an industrial system may have hundreds of I/Os. 2- Using the LAD or even STL languages are more familiar to electrical engineers rather than the C++ which is more related to the ECE engineers. 3- Arduino is not designed for harsh industrial environment conditions such as high temperatures and continuous operation. 4- PLC firmwares are designed for certain expected errors/critical failure situations related to the process field which are easy to avoid/detect using some OBs and SFCs which will take much longer time and effort to be implemented using C++ and Arduino. 5- PLC systems are also designed for integral industrial systems, In other words it is designed and manufactured specially for these applications. 6- Maintenance, Service, System Modifications and Error Detection are way easier in the PLC rather than tha Arduino. 7- More further, In PLC scan cycle all the inputs and outputs are being checked in the same time ( Reading PII and Writing PIQ), but in Arduino they are being checked based on line order of the program code. 9- I guess the I/O cards/Signal Modules of the PLCs can withstand more current levels than the Arduino can do. Please, Correct me if i'm wrong at any of these points. I am a Lecturer in Power Systems at the School of Engineering of the University of Edinburgh and a member of the Institute for Energy Systems, where I research renewable energy conversion and integration, smart grids and energy efficiency. I am investigator and work package leader in several large collaborative UK and EU research projects with a total budget in excess of £18M such as the FP7 DTOCEAN, the FP7 ITN ADVANTAGE and the EPSRC UKMER projects, and have co-authored more than 40 peer reviewed publications. I currently lead a group of 8 Doctoral and 3 Postdoctoral Researchers, all working in the areas of renewable energy and smart grids. 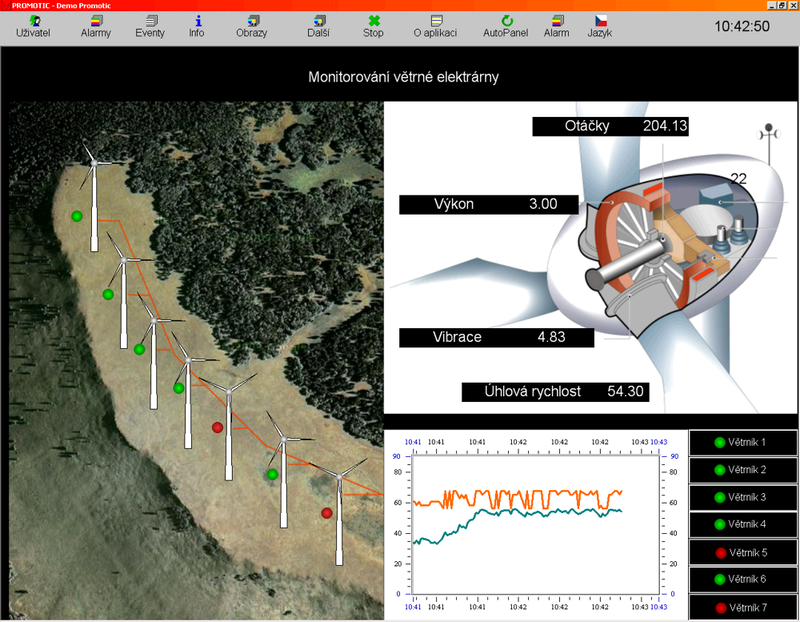 My teaching includes courses on renewable energy and control engineering at both under- and postgraduate levels. I am a Senior Member of the IEEE and Member of the IET and a STEM (Science, Technology, Engineering and Mathematics) Ambassador for East Scotland.